Relax and unwind with a soothing facial or massage at Anara Spa. Reconnect with the healing power of nature in treatment rooms that open to their own private garden as birds sing and trade winds lull. Here traditional healing customs blend with fresh island botanicals to refresh and renew. Weekly and monthly passes are available for the fitness center and yoga & fitness classes. Full service hair and nail salon as well. The boutique features comfortable island wear for every occasion from exercising to a night out. 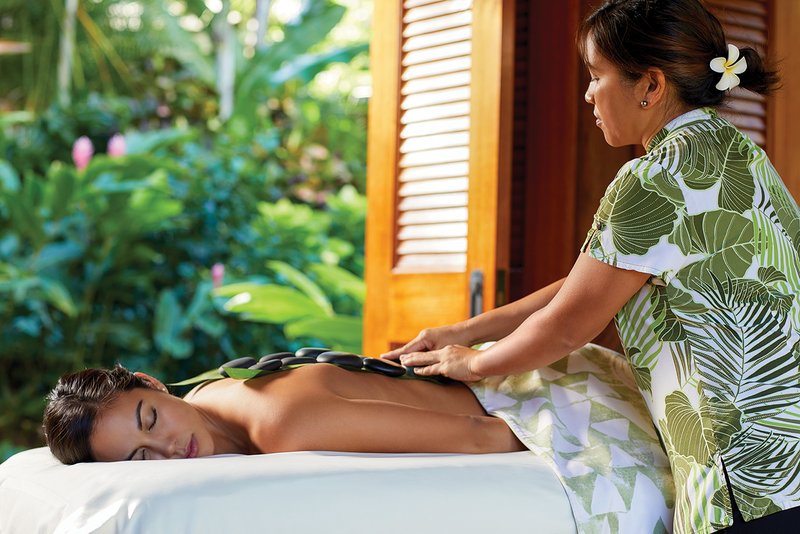 For a Hawaiian spa experience like no other, call 808-240-6440 or visit www.anaraspa.com.